I’m back! And what a bird I have for you today. 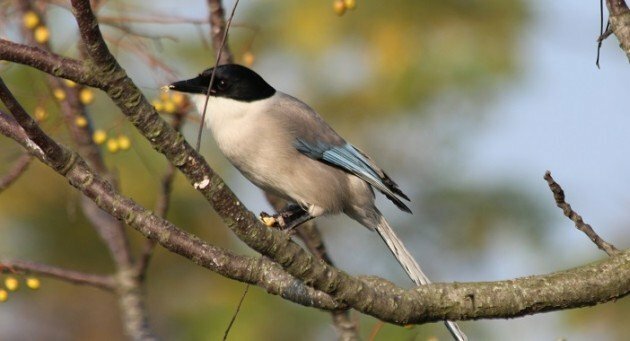 The Azure-winged Magpie is a pretty member of the crow family found in Eastern Asia, from Siberia and Japan down to Hong Kong. 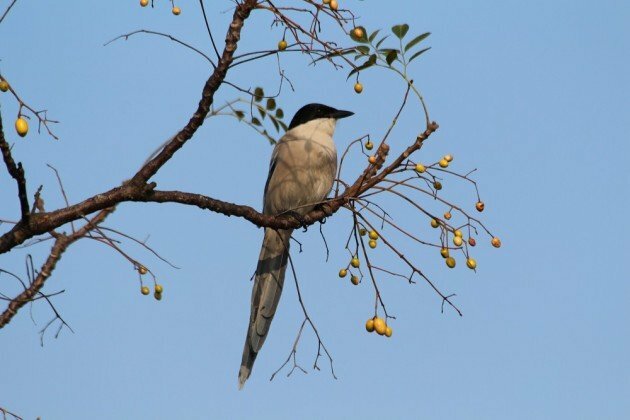 It was in Hong Kong that I caught up with the species, as it is easy to find in the splendid wetlands of Mai Po. Unlike other magpies I’ve seen, this one lives in family groups, and like other corvids, are conversational and fun to watch. 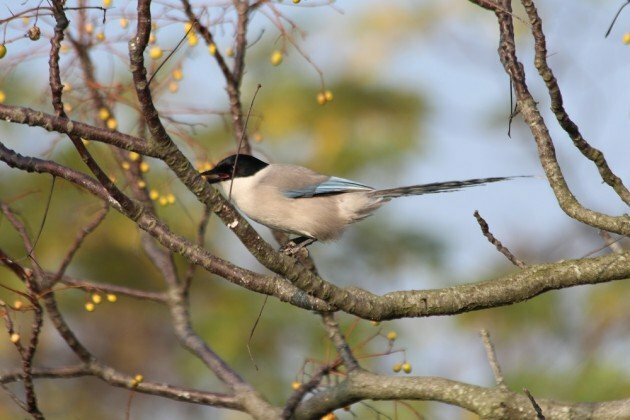 The Azure-winged Magpie was for the longest time something of a biogeographical mystery. As well as the population found in East Asia, another smaller population also occurred in the Iberian Peninsula, in Spain and Portugal. This odd distribution with thousands of kilometers (hell half the world) between the two populations confounded scientists. 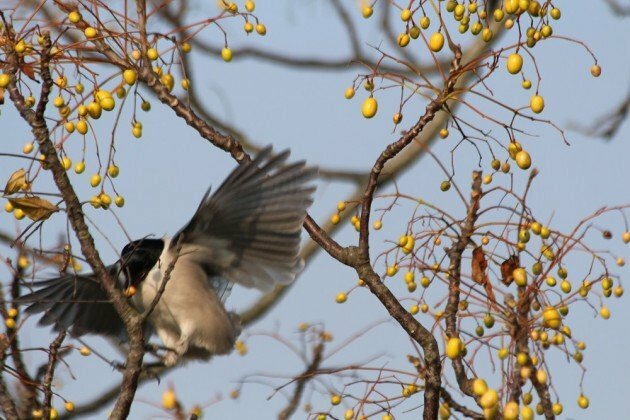 Was it natural, or were the birds in Spain an introduced population. They are, as you can see, pretty enough, but it seems a long way to move a species, especially at introductions hadn’t been recorded in history. 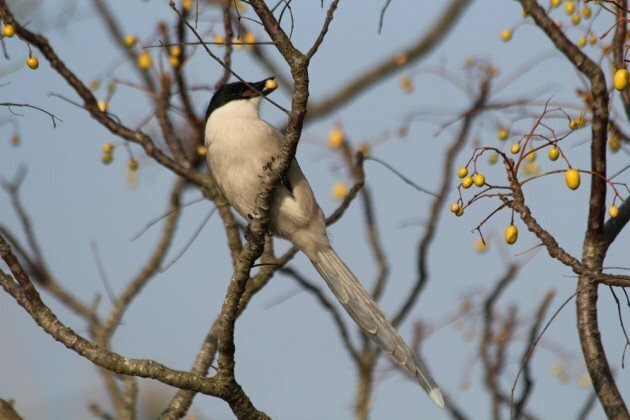 Genetic tests eventually showed that along with great geographic distance the two populations were deeply separated by time, an the Iberian species (as it turned out to be) was a relic of a time when the azure-winged types of magpie had a much greater distribution. Oh that birds like it were more widely distributed in Europe today! Still, at least it provides an excuse to go to Spain, or Hong Kong! They don’t look azure, or even blue! 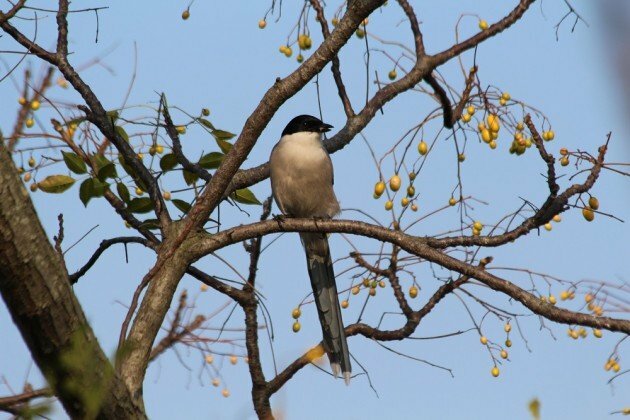 Coool post abot these must-see magpies. Great post and photos! I saw one in a garden in Tokyo and thought it was magnificent.